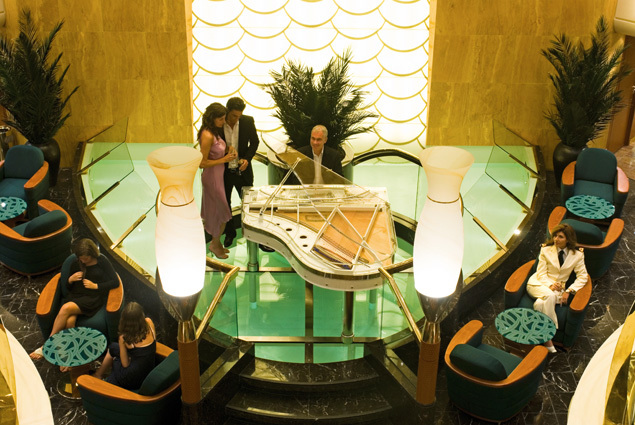 MSC Musica is a contemporary ship with decor that blends tasteful design with timeless elegance. Experience its entertainment venues, delicious cuisine, and friendly hospitality for a vacation that you will never forget. A cosmopolitan atmosphere sets the stage for this ship's amazing entertainment options, as well as its well-equipped gym and spa, tennis court, mini-golf, and chic dining. 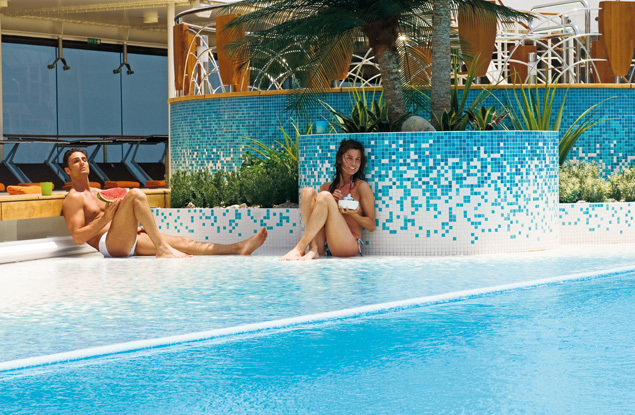 MSC Musica has so many activities to partake in; you will not know where to start. 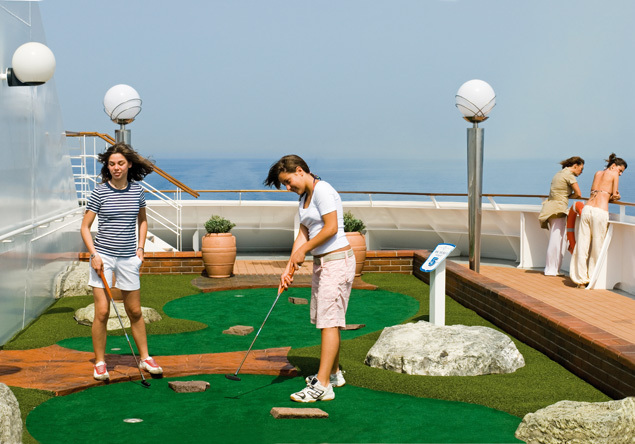 On the deck, you can find shuffleboard, deck quoits (a European game similar to horseshoes), mini golf, and even a golf practice area. There is an outdoor children's area, a jogging track, and swimming pools. The ship has a fitness center with a fully equipped gymnasium and group classes for aerobics and yoga. The spa has two saunas, two Turkish baths, massage therapy, aromatherapy, and more of your favorite spa treatments. There is even a beauty salon. The ship also has a solarium, a cinema, a library, an art gallery, a photo gallery, duty free shopping, an indoors children's playroom and an area dedicated just for the teenagers in your group. 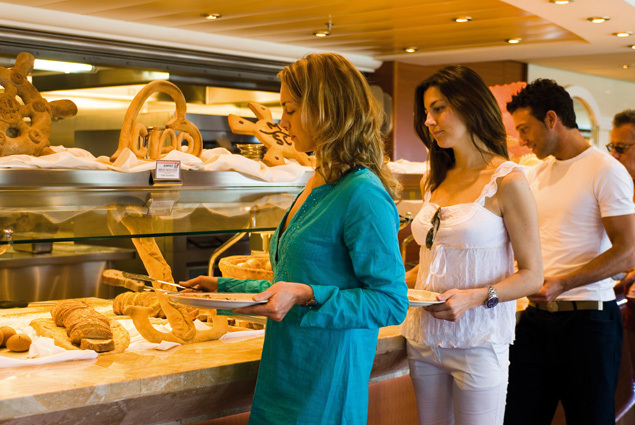 MSC Musica offers fine dining in four different restaurants. Whatever your taste, you are guaranteed to find delicious food. Le Maxim's and L'Oleandro are both great places to enjoy a meal in a refined atmosphere, while the Gli Archi Cafeteria provides a more casual dining experience. The Il Giardino offers an extensive a la carte menu as well. MSC Musica has great entertainment, every night. Explore the ship, and take in the atmosphere - there are many things to enjoy. Take in a live performance at the Teatro La Scala, or sip a cocktail at one of the nine bars and lounges; the ship also has two poolside bars. The Crystal Lounge has shows and a dance floor, while the L'enoteca Wine Bar serves fine wines; there is even a cigar bar. 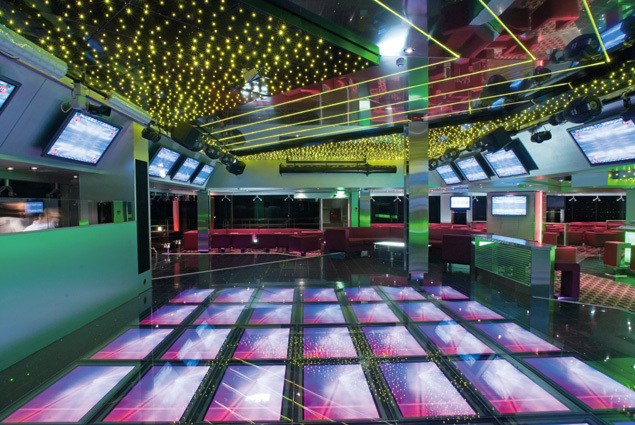 If you would like to dance the night away, head over to the Q32 Disco and enjoy a drink and great music. If you would like to try your luck, enjoy your favorite casino games at the Sanremo Casino - the opportunities are endless. 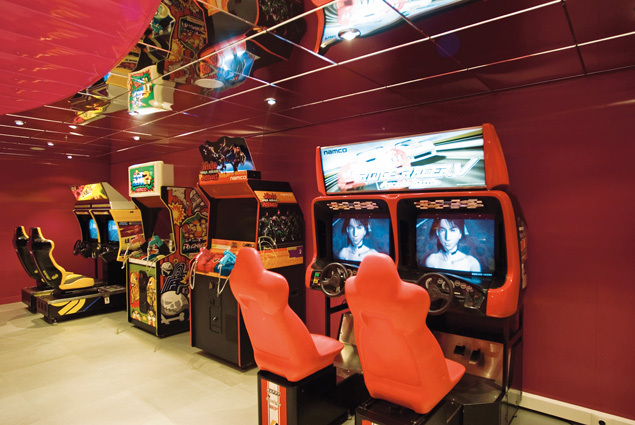 There is even a Virtual Games room for kids both big and small.